Diver may have found 'lost nuke' missing since cold war off the British Columbia Canadian coast! The Canadian navy is heading to the coast of British Columbia to investigate claims that a diver may have come across “the lost nuke” – a Mark IV bomb that went missing after an American B-36 bomber crashed in the region during the cold war. Diver Sean Smyrichinsky was wrapping up a day of diving near Haida Gwaii, an archipelago some 80km west of the coast of British Columbia, when he stumbled across what may be the remains of the world’s first known “broken arrow” – the code name for accidents involving American nuclear weapons. He came out of the water, excitedly describing the bowl-shaped object and its bolts that were bigger than basketballs. “I started telling my crew ‘my God, I found a UFO.’” He sketched a rough outline of what he had seen on a napkin. It was a reference to the Mark IV, a 10-foot, blimp-shaped nuclear bomb weighing some five tons and which went missing over the Pacific during a US air force B-36 training flight on 13 February 1950. According to the Royal Aviation Museum of Western Canada, the intercontinental bomber had left an air base in Alaska for a mission that include a simulated drop on San Francisco when three of the plane’s six engines caught fire. The crew was forced to abandon the bomber but US air force reports said they first jettisoned the bomb over the Pacific. 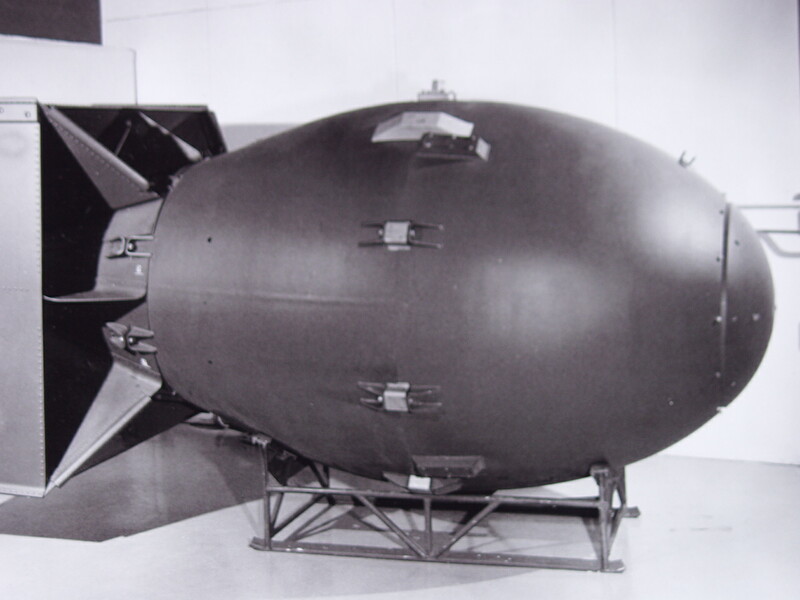 The US military said the lost bomb was a dummy capsule – packed with lead rather than the plutonium core needed for an atomic explosion. The bomber disappeared from the radar screen just before midnight. Days later, 12 of the 17 men onboard were found alive. The plane, set to autopilot by the crew before they parachuting out of the aircraft, crashed into the snow-covered mountains of northern British Columbia. 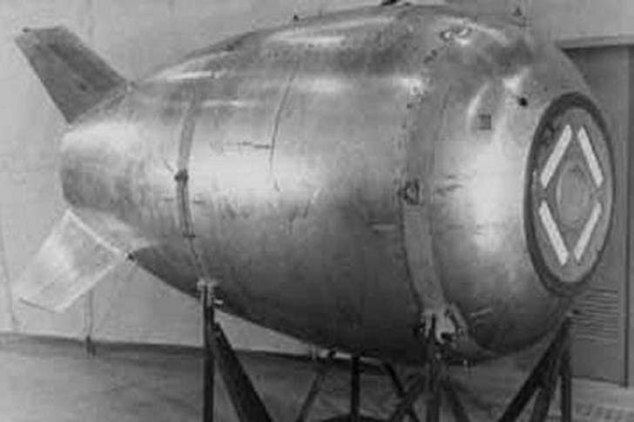 The parallels between what he had seen and the story of the lost nuke sent Smyrichinsky searching online. “And sure enough, there was a story about this lost bomb,” he told CBC. An image turned up a photo resembling what he had seen. “A big circle with these balls, I had no idea that particular bomb contained all these big balls, bigger than basketballs.” A further search suggested that the balls – each some 20 inches across, he said – were home to the explosive stored in the Mark IV. Smyrichinsky detailed his find in an email to Canada’s department of national defence, who told him they were looking into the matter with “keen interest”. The Canadian Armed Forces said on Thursday that a Canadian navy ship had been deployed to investigate. Government records indicate that the lost bomb was a dummy and poses little risk of nuclear detonation, said a spokesperson. “Nonetheless we do want to be sure and we do want to investigate it further,” he added. The navy ship is expected to arrive in the area within the next two weeks. They still find bombs in London when the Nazi were dropping them in world war 2. Some just never went off. Same in Vietnam. So I can believe this would be left behind if it is a dummy. land mines from decades ago are also often found in old war zones. We'll see if he found "the lost nuke" but based on his description I think it's something else. “It resembled a bagel cut in half, and then around the circle of the bagel these bolts all molded into it, like half spheres. It was the strangest thing I had ever seen.” That doesn't sound like it's the bomb in the picture, the bomb in the picture looks like a bomb. War does leave behind many things and some are very dangerous to handle. I believe it was a picture of the "Broken Arrow" down. "Fat Man & Little Boy" the ones they made as gift for Japan. Bob Dack Wow its amazing what's left behind! It does look that way if the picture is from there but I also see JZ's point about the description unless the diver just saw the nose. A ballistic missile is powered early in its flight and then follows a non-powered trajectory to its target. During the Cold War, both the United States and the Soviet Union developed inter-continental ballistic missiles, known by the acronym ICBM, that were capable of reaching any target in each other's territory. ICBMs could deliver nuclear weapons in a manner that was virtually immune to defensive measures. Arms limitations treaties between the superpowers have reduced the number of ICBMs deployed by each side. I wasn't arguing with you and I know what a missile is. Also what I was thinking, if the diver just saw the nose it does somewhat resemble a bagel. There is a round hole in the middle of it and there are half sphere "bolts" in it. If it's the missing bomb it's been sitting on the bottom of the ocean for 66 years so there is a good possibility it would be partially buried. 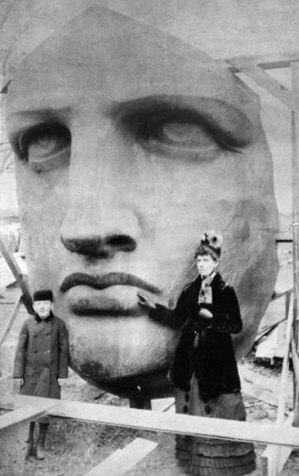 Unpacking the Statue of Liberty. I've always liked old pictures. I have some tin types that are around early 1900's Boys in Knickers and women in long dresses down to the ground. They are my wife's relatives but the only one that knew who they were was her mother who died 12 years ago. 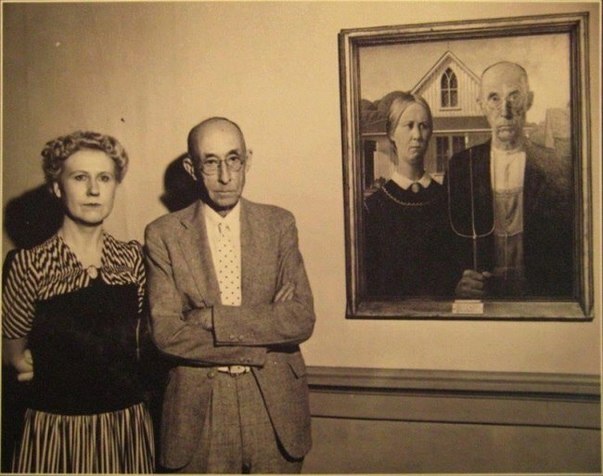 So we will never know who they were back then. Paulgro and photos from my Dad's family ...all these photos's are as early as the 1920's to when they past away! Pretty cool! Wow! is it still active? Wonder how many more will be located with all these detectors! - Saw this and it's worth $190,000.00 US dollars. Great find! Gold and diamonds will always bring cash! 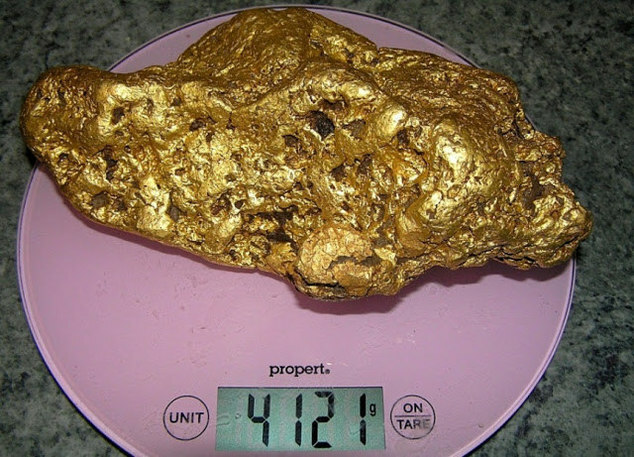 The article said about $250,000.00 but as we all know gold goes up and down daily? coin collection, organizers said on Saturday. "In coins, everybody's heard of the 1804 dollar, it's what I call the ultimate trophy coin,"
said Q. David Bowers, co-founder of Stack's Bowers Galleries. 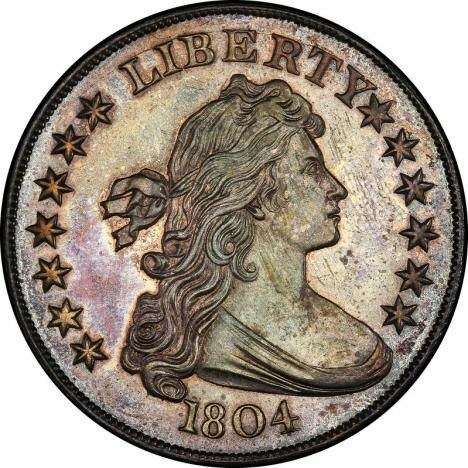 The coin is emblazoned with the bust of a woman with flowing hair who represents liberty. Minted by the U.S. government, it was intended as a gift for foreign heads of state. 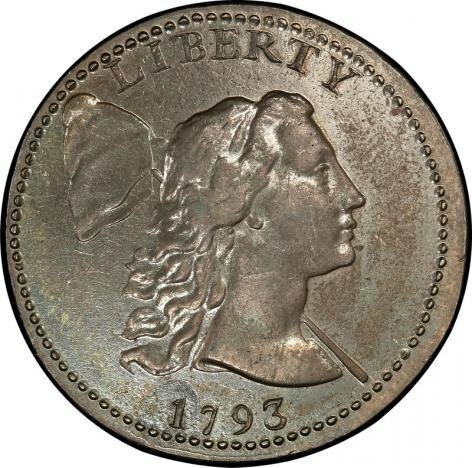 A 1793 Liberty Cap Cent coin which sold at auction for $940,000. 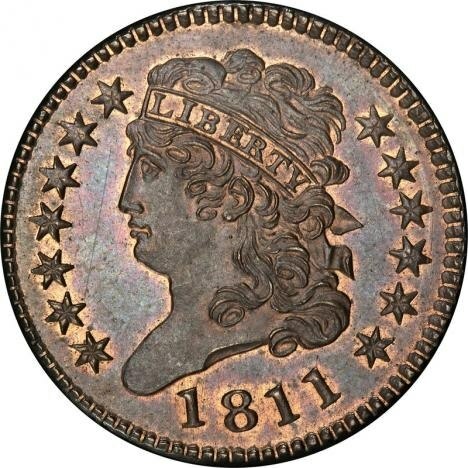 A 1811 Classic Head Half Cent coin, which sold at auction for $998,750. Yeah coins have been collected since the invention of them. I'd venture to say it is the most popular hobby in the world! 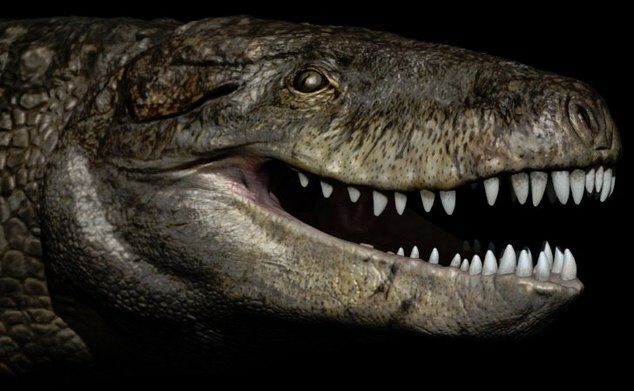 However, while scientists knew they had discovered a new, ancient predatory species, where it sat in the evolutionary tree of life remained unclear—it shared features of crocodylomorphs, a group that includes crocodilians and their extinct relatives, and theropods, the group of dinosaurs to which T-Rex belongs. 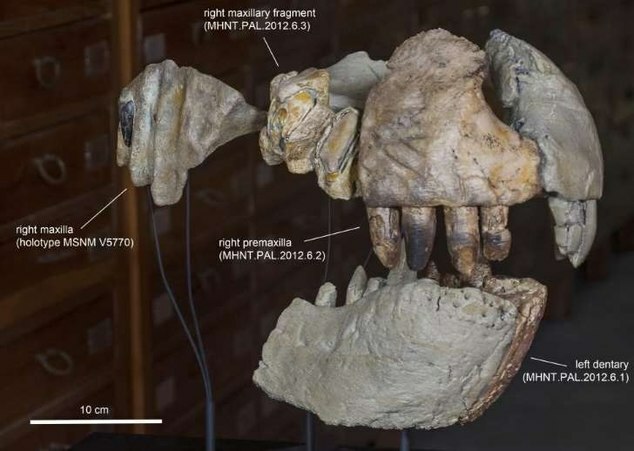 Now, scientists from France and Italy have re-examined the fossils, along with five cranial fragments that were found at the same site, which they “tentatively” refer to as coming from the same taxon. Their findings, published in the journal PeerJ, place the fossils in the suborder Notosuchia. These crocodylomorphs lived during the Cretaceous period and researchers have found fossils in Africa, Asia, Europe and South America. However, scientists believed Notosuchia's evolutionary lineage started far earlier, during the Middle Jurassic, between 174 to 163 million years ago. But because there was no fossil evidence of it, it was known as a ghost lineage. Cristiano Dal Sasso, from the Natural History Museum of Milan, Italy, and colleagues have now placed R. sakalavae in the Nortosuchia family tree, calling it the oldest and potentially largest of the suborder ever discovered. It predates other Nortosuchias by 42 million years. 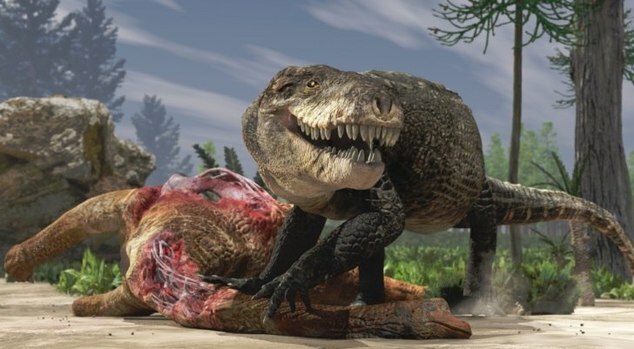 While the scientists are tentative in estimating its exact size due to limited fossil evidence, they say it was likely bigger than Sarcosuchus imperator, which could reach up to 39ft in length, and Purussaurus brasilensis, which was around 34ft long. "Like these and other gigantic crocs from the Cretaceous, 'Razana' could outcompete even theropod dinosaurs, at the top of the food chain", Dal Sasso said in a statement. The team says the size of R. sakalavae’s teeth indicate it fed on hard tissues, such as bone, and that it would have been one of the top land predators in the area at the time—the point at which Madagascar began to separate from the supercontinent Gondwana. "Bob Dack Diver may have found 'lost nuke' missing since cold war off the British Columbia Canadian coast! Hey Bob this is really cool the stuff you find surfing the net thank you for sharing ! Saw that about the Croc. They keep finding fossils of things they never knew existed. I have some coins but none worth as much as those are. Not even close. When It Starts To Play, I Got Chills All Over!! but I never thought a gorgeous piece of music could be found in a cross-section of a tree trunk. Artist Bartholomaus Traubeck designed and built a record player that “reads” the texture and color variations of tree rings and interprets them as music. Because every tree has its own configuration of rings, every tree has its own song. By doing this, Traubeck has essentially created the infinite library of records. You must love the time we live in. If you think Nature would sound like crackling and random noises, think again. 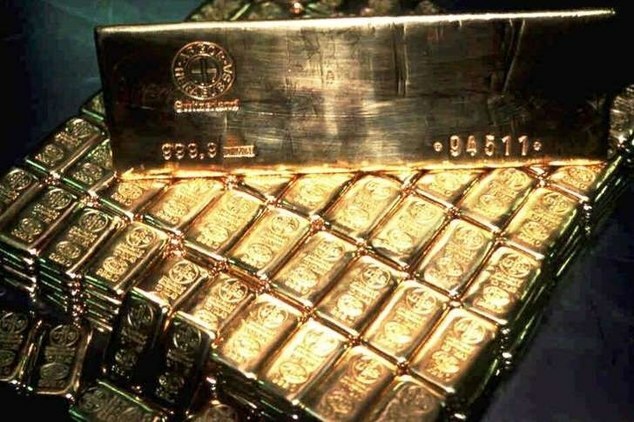 Nazi gold worth $163M in sunken cargo ship. British treasure hunters are seeking permission to recover a mysterious chest from a German ship's watery grave amid claims that it could contain $163 million worth of Nazi gold. The box was found by U.K.-based Advanced Marine Services inside the post room of the SS Minden at the bottom of the Atlantic Ocean off Iceland. There have been claims that the cargo ship was transporting gold from South American banks to Nazi Germany when it sank in September 1939. The ship was intercepted by the Royal Navy's HMS Calypso and scuttled by its own crew so the vessel couldn't be captured by Britain just weeks after the start of World War II. It was claimed that the chest contains up to four tons of metal, and the British firm is now applying to Iceland's government for a permit to cut a hole in the ship's hull and remove the box. 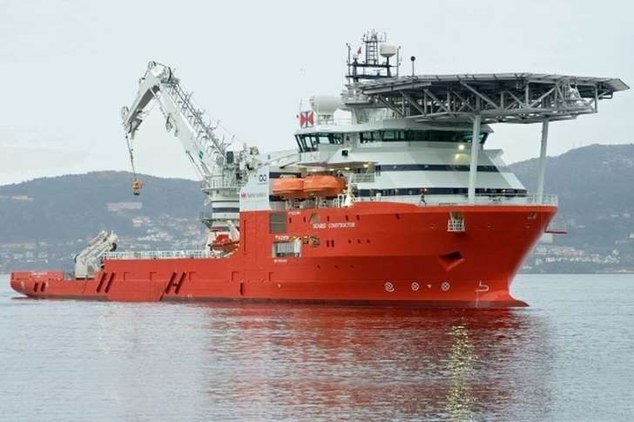 The crew of the Sea­bed Constructor was previously stopped by Iceland's Coast Guard in April for not having permits to conduct research in the country's waters. Advanced Marine Services want to bring the chest back to Britain, claiming the contents belong to the finder, the Sun reported. The company is awaiting a decision from Icelandic officials on who owns the wreck and its contents. The SS Minden left Brazil on Sept. 6, 1939 - five days after the war broke out - and there were claims that officials from Banco Germanico, a subsidiary of German Dresdner bank, helped load its cargo. The ship was sunk by its crew nearly three weeks later on September 24. The crew was rescued by the HMS Dunedin and taken to a British naval base. Nice place but too much glass for me. All the Houses by "Frank Lloyd Wright" are very Pricey? one of the more famous of the house but there are several others too! 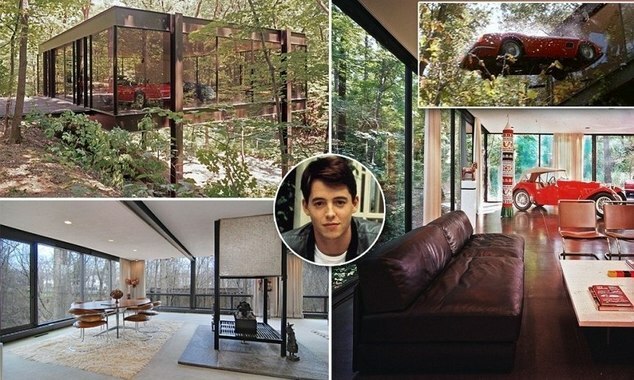 I know he didn't design shacks, that's for sure. I just can't picture cleaning all that glass!! A newly identified mineral called putnisite has been analyzed by scientists after being found near Lake Cowan, north of Norseman in remote Western Australia. The most recent addition to the estimated 4 thousand known minerals was found on volcanic rock, formed into small, brittle cubic crystals. The crimes of Jack the Ripper make up one of the most famous unsolved murder cases of all time. Now, nearly 130 years after those gruesome murders cast a shadow over London, researchers believe they’ve uncovered the identity of their perpetrator. As the Telegraph reports, the claim is based on evidence from a diary that belonged to a Liverpool cotton salesman named James Maybrick in the late 19th century. In the diary, Maybrick describes killing six women—five in London’s East End where the Ripper's historic murders occurred and one in Manchester. He signed the 9000-word volume: "I give my name that all know of me, so history do tell, what love can do to a gentleman born. Yours Truly, Jack The Ripper." Jack the Ripper researchers have been aware of the document since it was discovered 25 years ago. While most experts have been hesitant to take it seriously, one team, led by Withnail & I writer and director Bruce Robinson, now believes it can prove the diary’s authenticity. 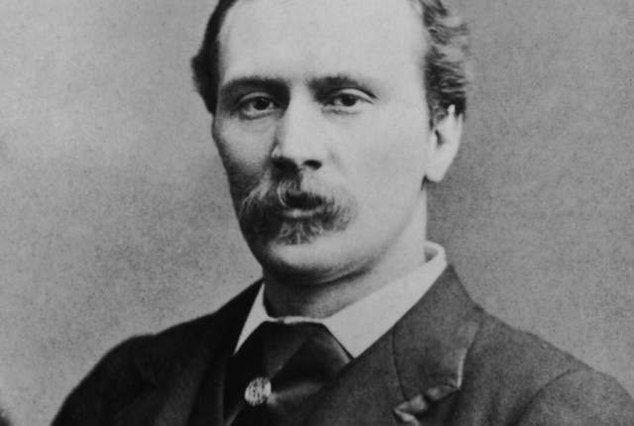 The team was able to trace the book back to Maybrick’s former home in Liverpool, which challenges the idea that the account was forged long after the killing spree took place. Maybrick, an affluent merchant who lived on a estate called Battlecrease House, died in 1889, one year after the last murder attributed definitively to the Ripper. According to the research team, the diary was recovered from beneath the floorboards of his mansion by a group of electrical workers in 1992. From there it fell into the hands of Mike Barrett, a former scrap metal dealer from Liverpool, who kept the origins of its discovery a secret in order to avoid legal repercussions. Suspects including H.H. Holmes and a former royal obstetrician have been accused of committing the brutal acts of 1888. The diary, which contains intimate details of the murders, could be the most damning piece of evidence in the century-old murder case if it is indeed authentic. The transcript of the diary was first published in 1993 by Robert Smith. The follow-up to that discovery, 25 Years of The Diary of Jack the Ripper: The True Facts by Robert Smith, will be released with the new research on September 4.
of who it was and yes you are right very confusing indeed? I don't know if you seen the show on the discovery channel or Investigation discovery but that's where I seen James Kelly as a suspect. He was in London at the time of the murders and then moved to America. He moved from city to city in the US throughout his life only living in each city a year or two and everywhere he lived there would murders of prostitutes that fit MO of Jack the Ripper while he lived there. The show made him seem like a really good suspect and IF I remember correctly ( I could be wrong it was a few years ago I seen it) he even confessed to being a Jack the Ripper when on his death bed. Although I believe a few others have claimed they were Jack the Ripper and do we even know 100% all the murders were committed by the same person? Although they likely were I think there is a possibility some may have been copycat murders. name but not after 1945?!? Yeah never got why people would do that either. I guess it's to be remembered in history but as you said why disgrace your family name? and why would you want to be remembered for something like that? Anyways about Jack I think there is a good possibility he moved to the US or another country because serial killers like that usually don't just stop murdering people unless they're caught or die. The “evidence” -- a frayed 18-inch-long nylon strap that may have come from the parachute D.B. Cooper used when he escaped from a plane with $200,000 -- was found in a mound of dirt in the deep Pacific Northwest mountains nearly two weeks ago. It was turned in Friday to the FBI’s Ventura County office by acclaimed D.B. Cooper sleuth Tom Colbert, a Los Angeles TV and film producer. “Well, after six years of gathering information with a 40-member cold case team, I’m ecstatic that they are considering this,” Colbert told Fox News during an interview Sunday, referring to the FBI. Colbert is hoping the discovery of the nylon strap will reignite interest in the case within the FBI. The FBI announced last year that it would no longer actively investigate the D.B. Cooper case to focus on other investigative priorities. The FBI interviewed hundreds of people, tracked down leads around the country and considered 800 suspects during its 45-year probe. In 1971 a man calling himself Dan Cooper, wearing a black tie and a suit, boarded a Seattle-bound Boeing 727 in Oregon and told a flight attendant he had a bomb in a briefcase. He gave her a note demanding ransom. After the plane landed he released the 36 passengers in exchange for $200,000 in ransom money and parachutes. The ransom was paid in $20 bills. The hijacker then ordered the plane to fly to Mexico, but near the Washington-Oregon border he jumped and was never seen or heard from again. Nine years later a boy found a rotting package full of $20 bills near the Columbia River. The $5,800 matched the ransom money serial numbers. The FBI has never ruled out the possibility that the hijacker was killed in the jump -- which took place in a rainstorm at night, in rough wooded terrain. The hijacker's clothing and footwear were also unsuitable for a rough landing. Over the years the most lasting image of D.B. 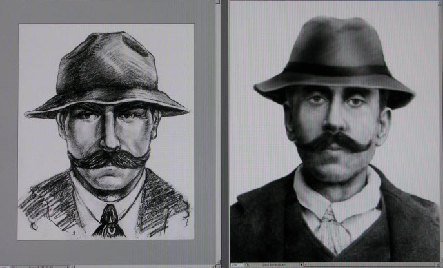 Cooper, who became somewhat of a legend, may be the two sketches the FBI released of the suspect. Colbert said his team, led by an ex-FBI agent, found the nylon strap while digging in a spot right where a credible source claimed the chute and remaining money are buried. FoxNews.com reported on the finding last week. Colbert said his team compared the nylon strap to a parachute like the one the skyjumpber used. "One of my former law enforcement [officers] that studied the samples said the stitching pattern appears to match," he said. After closing the case, the FBI issued an advisory that should specific physical evidence emerge -- related specifically to the parachutes or the money taken by the hijacker -- individuals with those materials should contact their local FBI field office. Colbert said that is why he went to the Ventura County FBI office and met with an agent there. “We sat down with him and went over the details of the chain of custody from the dig to me,” he said. 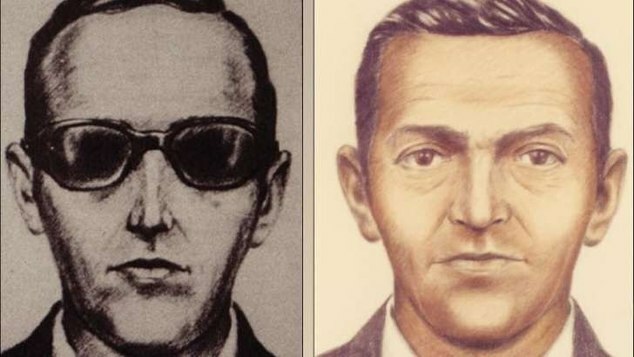 Colbert, who maintains a website, DBCooper.com, and his team of investigators believe D.B Cooper is Robert Rackstraw, a 73-year-old Army veteran from San Diego with a prior criminal record. Investigators questioned Rackstraw about the D.B. Cooper case in 1978 and eliminated him as a suspect. Rackstraw has repeatedly denied any involvement in the caper. Colbert said that during the meeting with the FBI he also gave the agent information about two men in their 80s who he believes may have knowledge of the skyjacking. He said he also told the agent where the nylon strap was found. He described the site as a lumber farm but declined to be more specific. For all you Gals & People who like Cute Kid things thread! (Singing, Dancing,Whatever! 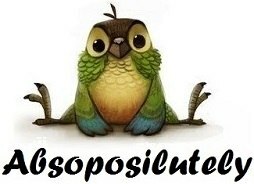 )Post here. Hey Girls, Look a New Cute Mechancal Pet Fot Christmas? or other fun things thread! A TV Series Mash-up Game Take Two series Mash them up let people Guess Thread!? !